Under the Tax Cuts and Jobs Act, for-profit employers can no longer deduct the cost of qualified parking to employees as a tax-free fringe benefit. For tax-exempt organization employers, the costs of providing reserved parking to employees will be subject to a 21 percent tax. To avoid these taxes, employers will need to reclassify employee parking spots as open spots; this may involve changing signage or opening up limited-access areas in parking garages and lots. The clock to get these changes made is up at the end of the month, as the tax penalty for employee parking spots goes into effect on April 1, 2019. Read this article by SHRM for more information about this policy change. In cooperation with the American Heart Association, CEOs from 40 major corporations (including Johnson & Johnson, Bank of America, and Macy’s) worked to create an action plan for employers looking to create a company culture that is more supportive of employees’ mental and emotional health. Read more about these seven strategies—which include organizational support, community partnership, employee-centered medical benefits and programs, and more— on the American Heart Association’s website. In previous years, U.S. Citizenship and Immigration Services (USCIS) has suspended its premium processing service during the “cap season” in order to help them manage their workload. However, the agency has announced that employers filing a fiscal year (FY) 2020 H-1B cap-subject petition will be able to apply for premium processing in stages starting on April 1. This popular service, which promises employers a judgment on their visa petitions within 15 days, will be available for a $1,410 fee for this year’s cap-subject H-1B visas, but only after a delay and being split into two phases. “In the first phase of processing, employers requesting a change of status to an H-1B under the FY 2020 cap will be able to request premium processing concurrently with their petitions on April 1. However, processing for these cases will not begin until May 20 at the latest. Employers typically petition for a change of status for students with F-1 visas to the H-1B visa in order to hire them for a professional role. The USCIS operates with two caps on H-1B visa applications: 20,000 for advanced degree holders, and 65,000 for all degree holders. Ordinarily, advanced degree exemption cases are determined first via lottery, followed by a larger lottery for the remaining 65,000 visas. This year, however, the process has been reversed. Visit the USCIS’ site to read more about all the changes to this program that go into effect on April 1. Employment website Indeed announced last week that it was adding a new feature for job-seekers: the ability to proactively include results from skills assessments on their resumes. Last year, the site launched Indeed Assessments, which allowed employers to send these assessments to applicants to test their skills. With this new rollout, however, job-seekers can access any of the 50 available assessments and save the results to their profile (or hide them, if they choose). To learn more about this new offering, read the company’s press release here. 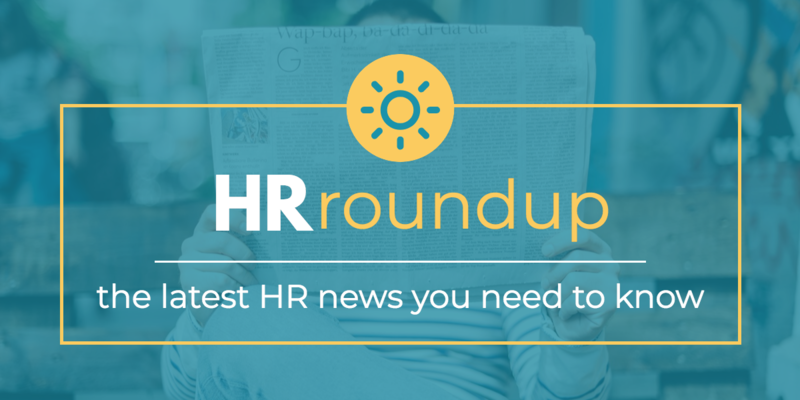 That’s it for this month’s HR roundup! Until next month, be sure to subscribe to the Fuse Workforce blog to stay in the know about the news, trends, and best practices that affect HR managers.